INCIDENT SUMMARY. 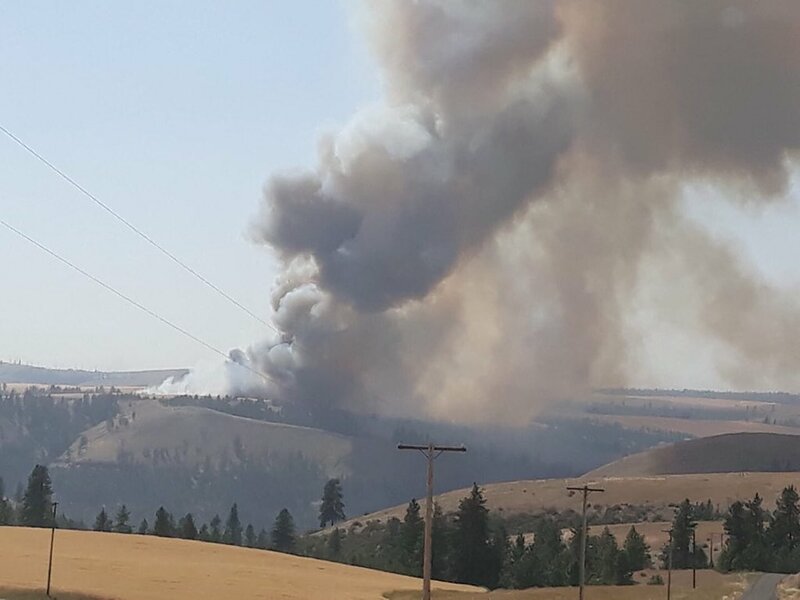 Resources were dispatched around 1557 hours PDT today to a wildfire producing a large smoke plume about five miles north of Reardan which included engines fire boss airplanes and hand crews. LOCATION. Fire is north of Davenport. CAUSE. Media reporting that a combine caught fire in a wheat field and quickly raged out of control. RESOURCES. NE WA IMT Team 1 (Command), WA DNR, Lewis County Sheriff Office, Spokane FD, Lincoln County Fire District 1, and three local Fire Districts along with 14 engines, three (10) person hand crews, six bulldozers and plus, air resources as needed. Around 1657 hours, DNR stated they had five engines two fireboss airplanes and two 20-person hand crews that were en route to the fire scene. They would join the crews from three local Fire Districts and one from Spokane. 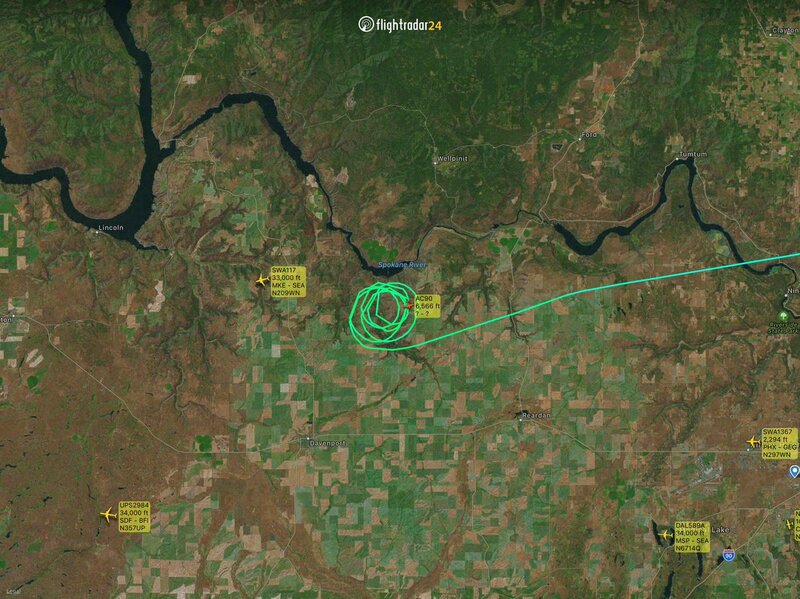 Air resources see from above on Flight Radar 24. FIRE STATUS. 170 acres burned with 60% containment. Six structures threatened, one lost. Media is reporting 800 acres. We have put out our feelers to see if that is accurate since the latest information we had around 2000 hours. Gusty wind conditions are making fire suppression efforts challenging. EVACUATIONS. Level 3 evacuations have been reduced to Level 2 for those in the Baldridge area. Please remain aware of your situational awareness, in case you have to evacuate your homes again.